For 2019 the Kit Faragher Foundation will offer four scholarships to graduating Colorado high school seniors, and, one of those scholarships will now be dedicated to a graduating senior from a Montrose County High School due to the generosity of that community during our fundraisers there over the past several years. The Kit Faragher Foundation will offer a 5th scholarship to a graduating high school senior from a Geauga County, Ohio high school. Kit Faragher grew up in and attended high school in Geauga County, and the Foundation will support deserving students in that community as well. The applications for 2019 are now available! The 2019 applications for the Colorado and Geauga County, Ohio Kit Faragher Foundation Scholarships are now available. The application deadline is Friday, March 29, 2019, 4:00 P.M. Please see our Application Page for details. Keeping Kit Faragher's Legacy Alive! 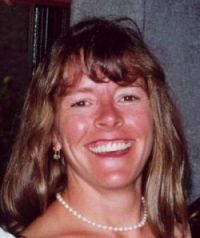 Kit Faragher lost her life in the tragic events of September 11, 2001. Kit had worked for Janus Capital Corporation in Denver, Colorado for almost seven years. In her memory, the Janus Foundation began the Kit Faragher Memorial Scholarship for students entering college in the 2002 to 2003 school year. The Faragher family, with great assistance and financial support from the Janus Foundation, has continued the scholarship through the formation of the Kit Faragher Foundation. Organized in April 2003, the Kit Faragher Foundation has provided annual scholarships to students since then. "Not only have I continued to reach my goals academically, but I also took the time to complete twenty hours of community service during my free time, which was a resolution of mine to achieve"
"I have been so grateful for what this scholarship has provided me both financially and emotionally. I would like to thank the Kit Faragher Foundation for the opportunity they provided me by believing in my potential and choosing to invest in my education. These past two years have been quite memorable, and I have this foundation to thank for playing a part in my motivation towards success." "The most enjoyable part of college for me was the living on campus experience and being on my own for the first time. I met what are now some of my best friends this year that I will be spending the next four years with." "My first semester of my second year at the University of Colorado in Boulder has been the best semester thus far. I had to opportunity of finding a community, getting accepted to take part in a once in a lifetime adventure, and I overcame the challenging courses I faced. " "Were it not for the financial assistance I received from this scholarship, these achievements would not have been possible. " "Overall, this semester has been full of accomplishments and led me to try things I had never imagined possible. I am so thankful for all of your support throughout my first two years of college and allowing me to follow my dreams. " "Being at Colorado State is so incredible and surreal and I will always be grateful for this opportunity and everyone who helped me get here. " "I’m glad you guys did the translation, hopefully more students will take advantage of the opportunity and apply this year. Thank you for everything. "